We are planning a number of commemorative events during our 150th Anniversary , all aimed at raising the profile of Chess in South Tyneside and the surrounding areas. 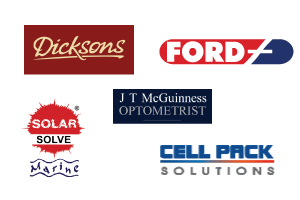 We are most grateful to our local sponsors who with great community spirit are helping us in our endeavours . Here is a little more information about these companies . Dicksons Pork Butchers has been satisfying the demanding tastes of the North East for generations. It is still owned and managed by the family that founded it back in 1953, by Irwin and Helen Dickson . It is undoubtedly famous for its Saveloy Dip . A trip to the North East is not complete until you try one . Ford Engineering Group is a Multi Award Winning family owned corporation, established and run in South Shields for over 100 years. It specialises in machining and pressing of components and assembies for the Aerospace , Automotive and related High Technology industries. Established in 1975 , Solar Solve manufacture the worlds leading Brand of high performance sunscreens for marine and other industrial applications. From there base in South Shields this high successful company export to over 80 countries. Established in 1954 , the McGuinness family have been looking after the eyes of generations of South Tynesiders. Situated on Westoe Road just before the Town Hall ,pop in and you will always receive courteous and professional independent eyecare advice. Established in 1998 , this award winning company speciallises in the design manufacture and assembly of Custom Battery Packs for the Industrial market sectors. With long established relationships with a number of the Worlds Leading Battery Manufacturers such as TADIRAN ,SAFT and GP the company prides itself to on its high service levels.